Photo of an Hermès leatherworker by Vanessa Winship scanned from the cover of Le Monde D'Hermès A/W 2011. 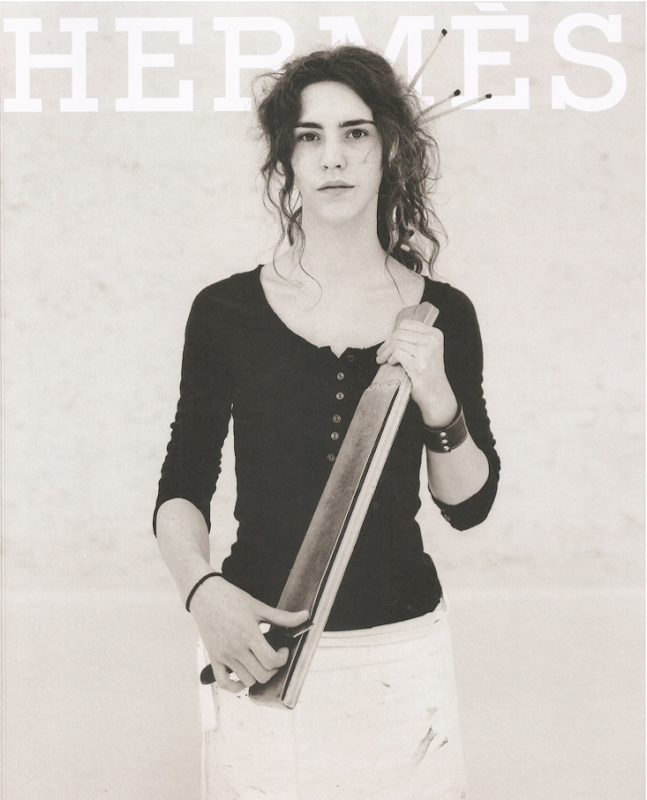 I just picked up this 2011 Hermès catalog which printed a collection of photographs by Vanessa Winship of the luxury brand's artisans. A stark juxtaposition to the color pages that followed, sure, but this feature also serves as a welcome and frank acknowledgement of where such beautiful silk scarves and buttery leather belts actually come from. "Young or old, men or women, what they share is the presence, the empathy and the commitment of those who have chosen a manual trade. A contagious aplomb that comes from joy and patience, from the mastery of painstaking techniques and the drive to create, from pride, and from putting their heart into their work." —Pierre-Alexis Dumas, Artistic Director of Hermès. They definitely picked the prettiest one for that photo -- she's stunning! They are also trying to set themselves apart from the other luxury brands outsourcing to China. The hidden selling point is, that "European" craftsmanship is more valuable, in some sense, and therefore worth the extra money. Several levels of political, social, and even racial weirdness there. @scone: What you've inferred is quite severe. Keeping manufacturing local to one's company is not a form of racism.